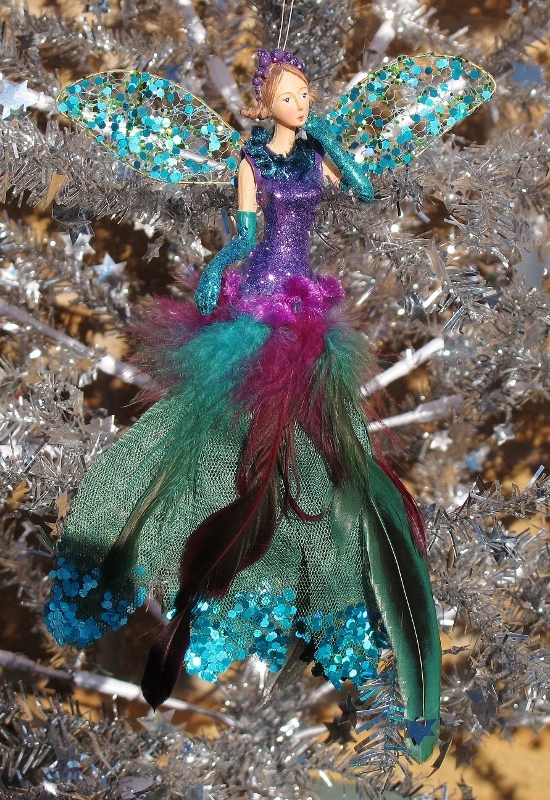 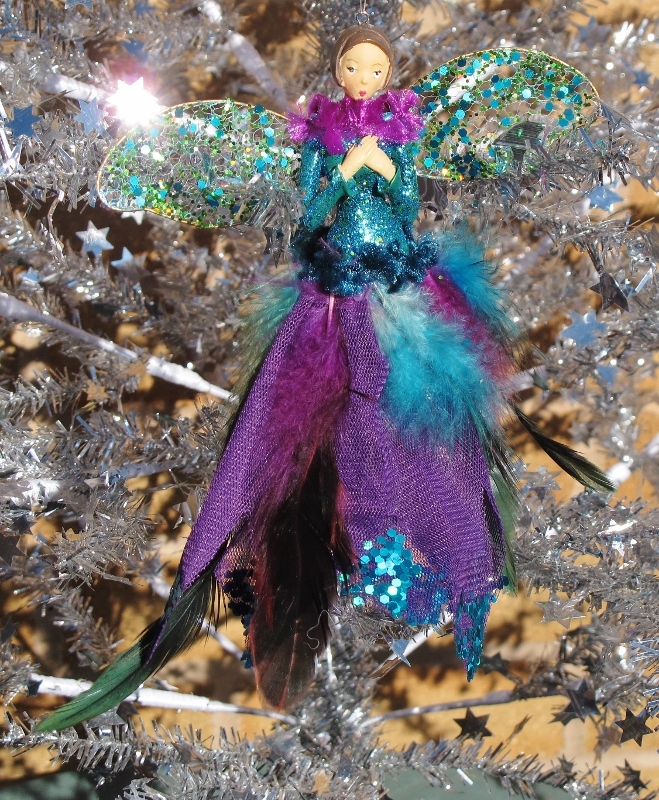 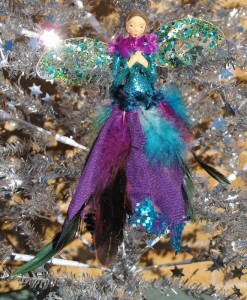 Gisela Graham three peacock fairy Christmas Tree Decoration’s. 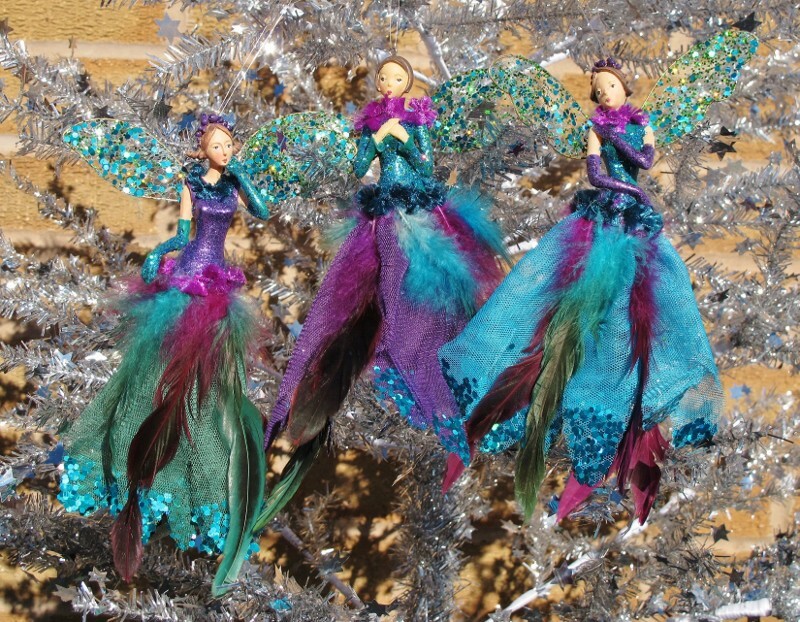 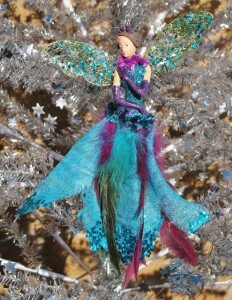 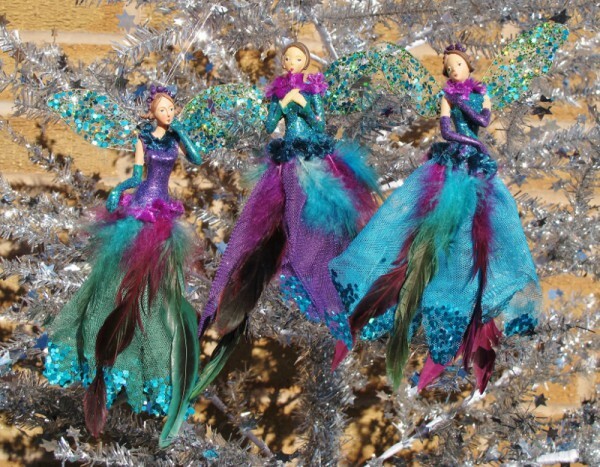 Beautifully crafted from a highly detailed glamorous resin fairies. 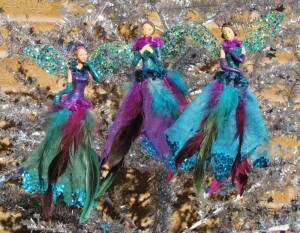 You will receive all three fairies.